Indonesia is one of those iconic places in Southeast Asia that is just so alluring! Between the epic surf breaks, whimsical rice paddies, stunning mountains and volcanos, Indonesia has a little bit of everything for everyone. Before we set off with nothing but our backpacks in tow, we created a mini “bucket list” of the things we wanted to see and do. 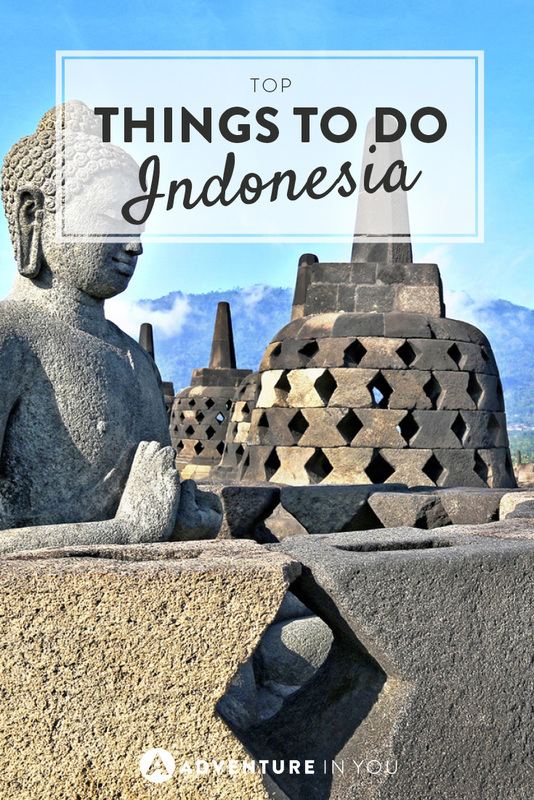 So, without further ado, here is our list of the top things to do in Indonesia. 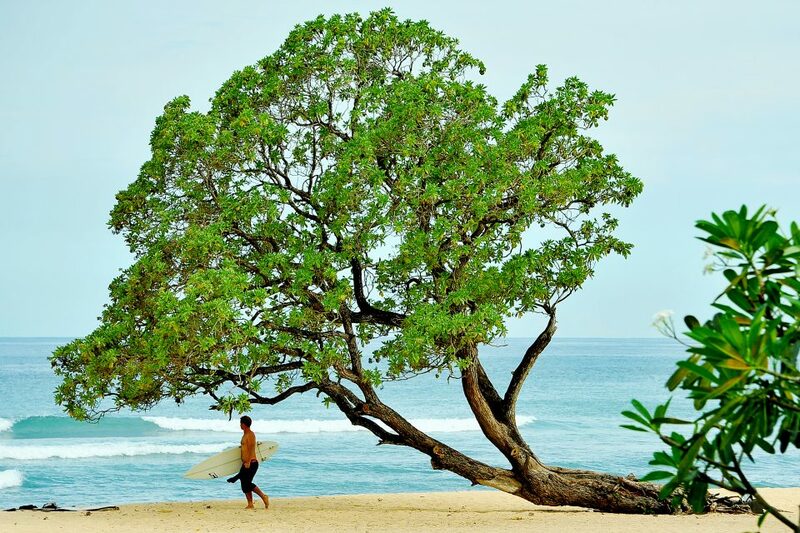 Indonesia has got to be the surfing capital of Asia with loads of spots to choose from, offering both beginner to intermediate/advanced waves for any surf enthusiast. Although we know the waves will be massive given the time of the year that we are going, we are excited to hit some spots in Batu Karas in Java, Lombok, Uluwatu, Kuta, Seminyak, Sanur, and Canggu. Whew! The list can go on and on but I think you get the point! Java is a region that has loads of interesting landmarks to explore. 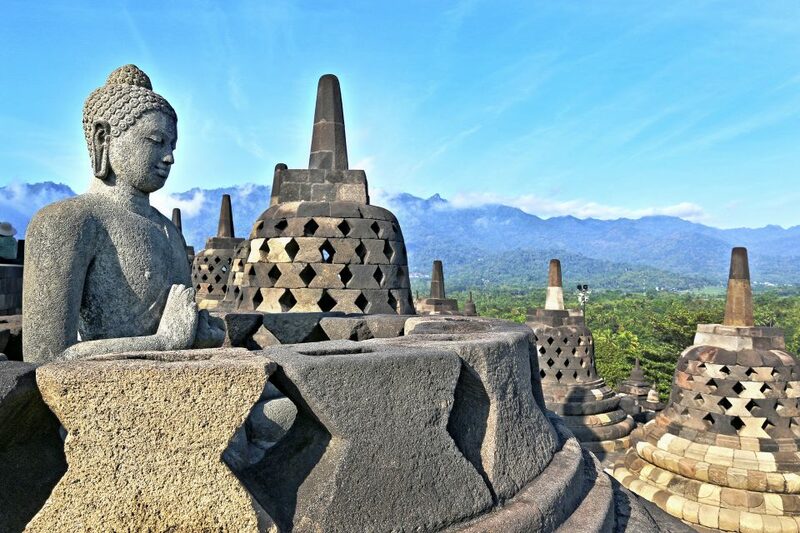 High up on our list are the temples in Borobudur and Prambanan close to Yogyakarta. These respective Buddhist and Hindu temples which are in close proximity of each other give you a glimpse of Indonesia’s rich cultural heritage. Wake up early and relish in the jaw-dropping views of the sunrise while you gaze at these historic relics. With over 127 active volcanoes, Indonesia is a haven for hiking with some of the best views to boot. Check out sunrise at Mt. 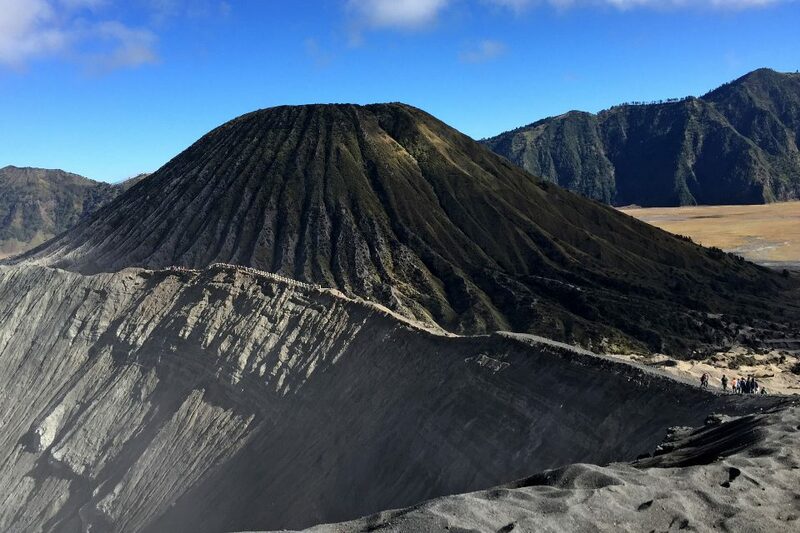 Bromo without a tour and go for a midnight hike up Kawah Ijen to see its magnificent blue lava caused by the ignited sulphuric gas from the volcano are just a few of the must see places that we have planned. Indonesia boasts of the longest coastline in the world which stretches from the Indian Ocean to the East and the Pacific Ocean to the West. 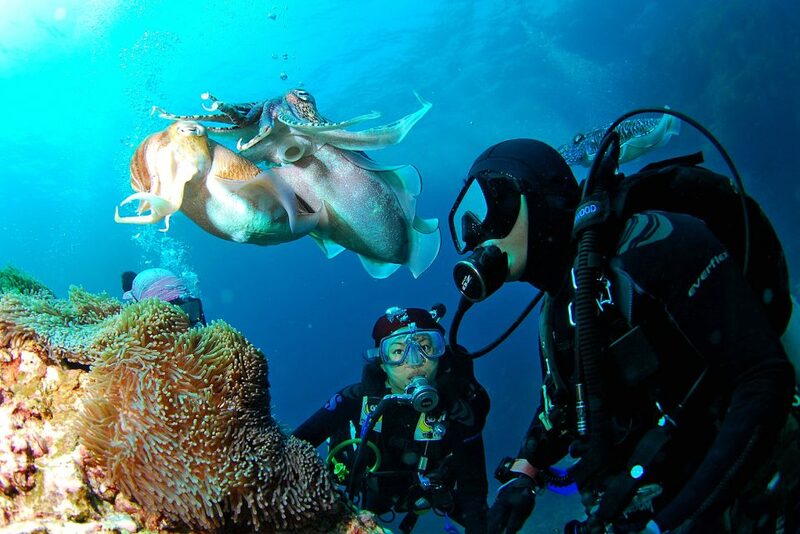 Home to 20% of the world’s coral reefs, this underwater haven is every diver’s dream. With dive sites like Raja Ampat, Togian Islands, Komodo, and Flores Island being some of the best in the world, there is no shortage of marine life to explore. If you don’t scuba dive, don’t fret, you also can snorkel your way around Indonesia. Being a large archipelago with over 17000 islands, Indonesia has many white sand beaches and crystal clear waters to enjoy. 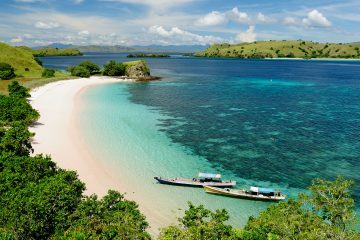 Although the beaches in Bali can get pretty crowded, there are many other places such as the Togian islands, Karimunjawa and Gili Islands in Lombok which you can still enjoy. 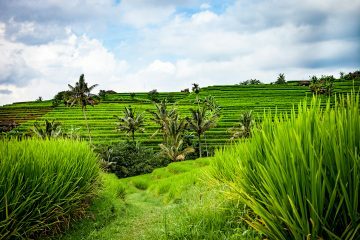 With yoga classes that can be found almost everywhere, Indonesia is a great mecca for those who are looking to spend a few days to just meditating and relaxing. There are many places and options for you to unwind and find your center. Places like Ubud offer loads of variety for spas, yoga centers, and other exciting activities. If yoga is not for you, why not try just sitting on a secluded beach as you contemplate life? Surely that hits the spot for everyone! When dining in Indonesia, there is a multitude of choices. From local warungs (small stores) that serve traditional local Indonesian fares to hip and trendy restaurants. Apart from the usual Nasi and Mie Goreng, try their other dishes like Gado-Gado or Beef Rendang. If you want to try a little bit of everything, try eating some Nasi Campur which gives you a small taste of what food the local warungs have. 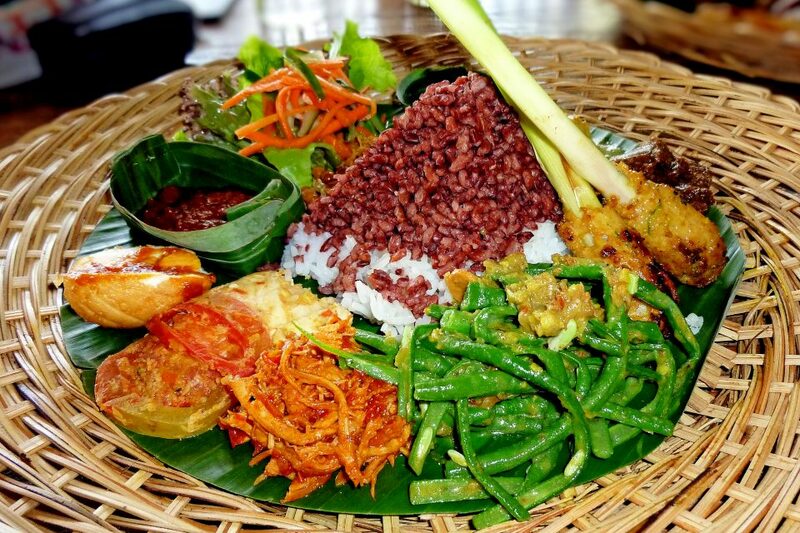 Indonesian food can be a bit spicy so hold off from the sambal if you’re not a fan. Indonesia is abundant with many national parks which have everything from Komodo dragons (not the Game of Thrones type) orangutansns, whalesharks, and many more exotic species. These National Parks are a great way to support advocacies of keeping animals protected from poachers as well as human overdevelopment. 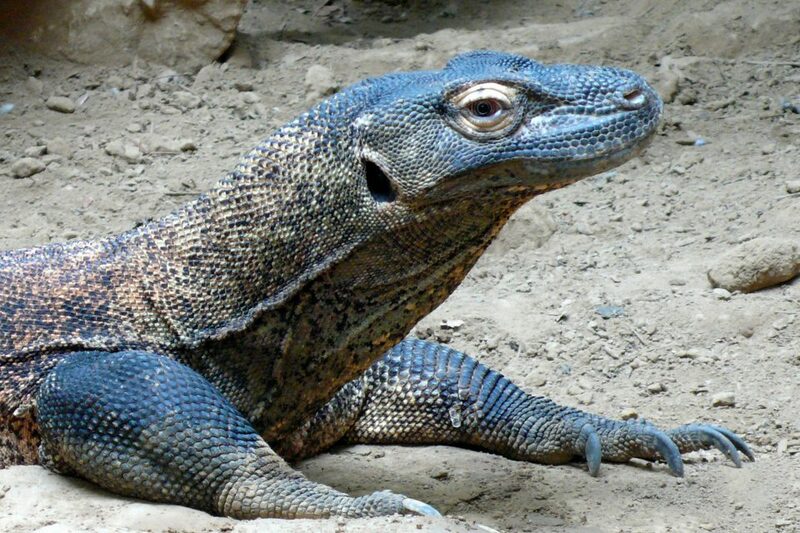 Tanjung Puting and Komodo National Park are just a few which are on our list. 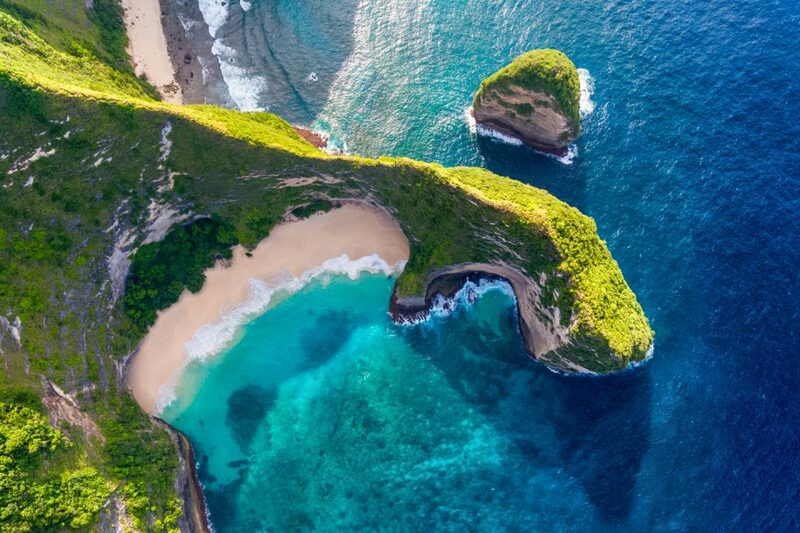 It’s no lie that many people flock to Indonesia for the perfect beach holiday. 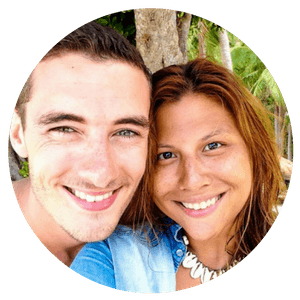 However, for those that are willing to venture past the beaches of Bali, you will be rewarded with stunning scenery, beautiful uninhabited islands, and a sense of amazement. From the sandy shores of the coast of Java, all the way to far flung islands in Sumatra, the beaches in Indonesia are amazing!! P.S. 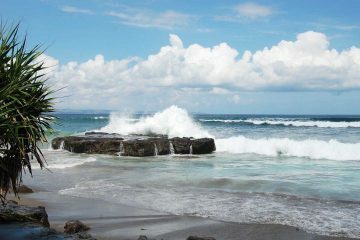 Beaches in Bali are great too! We just love the more obscure, off-the-beaten-path type of islands better! 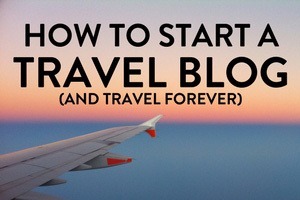 Hopefully, the stuff listed above is enough to get you excited to visit this beautiful country. 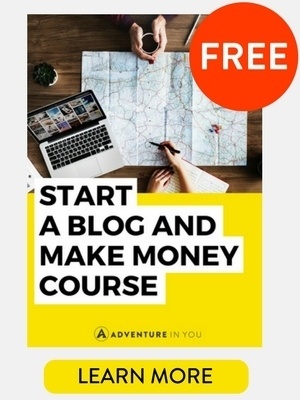 We ended up spending almost three months exploring and still, we feel like we’ve just scratched the surface! 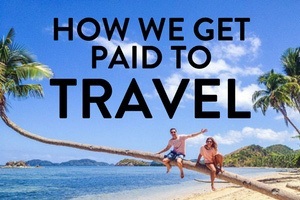 What about you, what’s your favorite thing to do in Indonesia? Thank you so much. We are both super pumped! !